Genius students with one mission: Turning exam answers into millions. 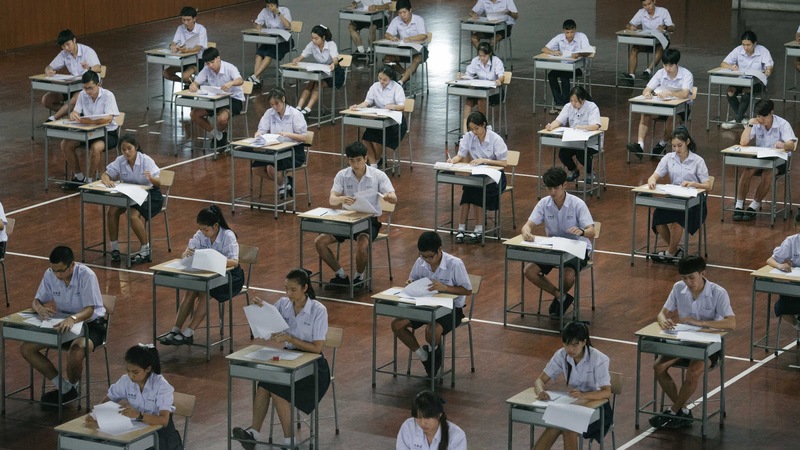 Bad Genius is inspired by a true events (real-life exam cheating scandals). You don't need a horror movie to give you thrill, instead watch this movie and get immerse into it very quickly. From the start, this film give me the excitement to continue watching and the quote above explains it all about the movie. There are twist within the twist, not your typical happy ending and will get you pumped up and said that 'Wow, this is a really good movie". I didn't watch Thailand movie that much these days but if I'm not mistaken the main actresses are still new, while both of actor have been in the scene since 2013. It doesn't matter if they still new or what not, the film received a tons of awards and this would a good platform for them to continue acting. Personally, I love all the characters Lyyn (Chutimon Chuengcharoensukying), Grace (Eisaya Hosuwan), Pat (Teeradon Supapunpinyo) and Bank (Chanon Santinatornkul). They complete each other and they annoyed me at the same time too (in a good way). I have a crush on Bank but that's personal thing so I don't want to elaborate more 😝😝 . But his character surprised me especially at the end of the movie. If I want to give you a hint, there is nothing good happened to him along the movie. Spot Bank, Pat, Grace and Lynn. Credit to NZIFF. Lynn and Bank 😍 . Credit to NZIFF. I was actually surprised that you don't need a special effects and such to make a good movie. But I do love the high quality of the video from starting until the end, the cinematography are very pleasing to watch. It was not easy to tell you because I do love every scene that I saw. But if I were to pick a favourite, it would be a scene when they taking their final exam (refer to above picture). I felt really nervous from watching this scene and lots of question linger in mind like 'Would Lynn get caught', 'Are they going to complete the answer' and such. It was really nerve wrecking and it almost make me stand up during the scene. Don't stay after the movie ended, because there will be no after credit. 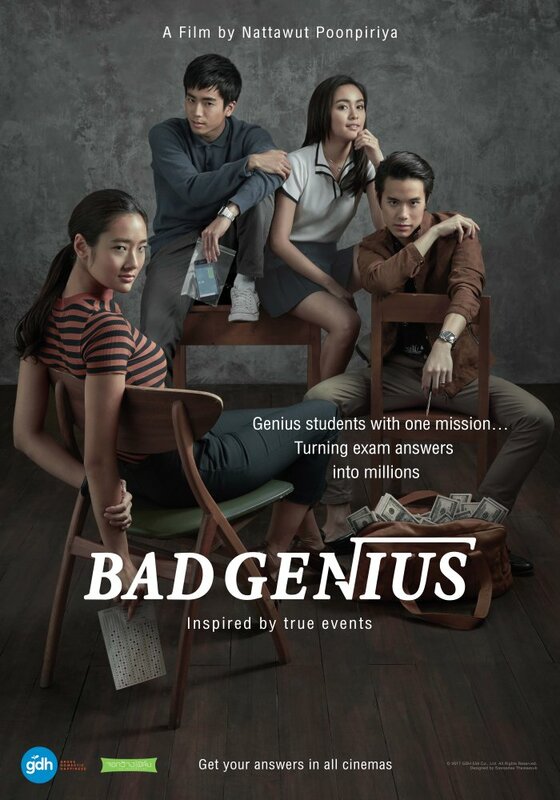 Make sure to watch Bad Genius while you can! When I watch this movie, tt kind of reminisce me about the past, and I know how its like to be in the situation (exam, school and need to score). It was cool that they made this movie to show the negative and positive site of cheating. Till then, let me know your opinion about this movie on the comment box below 😉 . P/S: As for all my movie review, I didn't give any rate because I'm afraid that it will stop you from watching this movie. Make sure watched it will a clear mind and make a personal review about them, because after all we have a different opinion, individually. I need more reaction with tegards this movie. Hi there Roland, thank you for the suggestion but this is all the reaction that I can write about this movie. Fret not, I will try to write more on the next movie review! If you didn't know where and how to write a movie review, I can give you best service which always can help you! Hi there, thank you for the comment but I was just write most of movie review just for fun and for the love of the movie. Have a nice day ahead!